Billy Ray (Bill) Cunningham was the third of six children born to the late Leepsie (Francis) Cunningham and Thelma Wilson on January 11, 1941 in Logan, West Virginia. Bill was educated in the Logan Public Schools system. In 1961, at the age of 20, he decided to serve his country and fellowman by joining the United States Army. He was a decorated soldier having received numerous awards and medals including the Expert Badge and Riffle Bar, the Marksman Badge and Pistol Bar, the Vietnam War Service Medal and Bronze Star, the Combat Infantryman First Award, and the Republic of Vietnam Campaign Ribbon with Device. After serving in the Vietnam War, he was honorably discharged and entered the workforce in Columbus, OH. 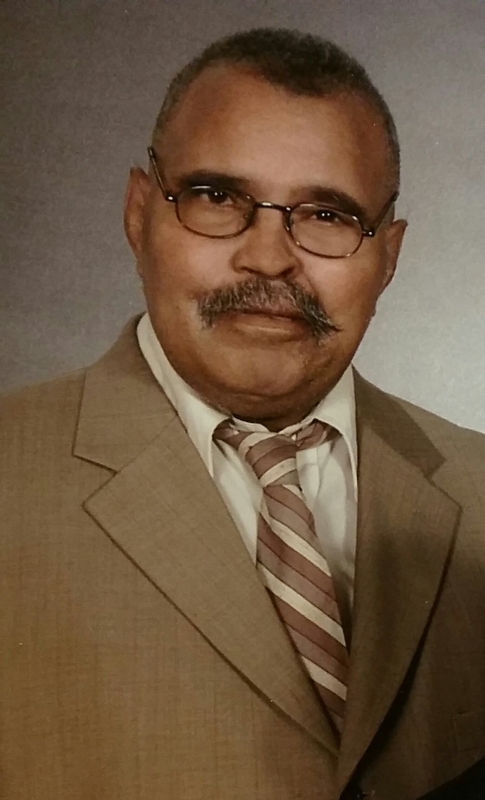 He held several facilities, maintenance, and janitorial positions with the Shoe Corporation of America, Lazarus, Inc., the Franklin County Courthouse, and Columbus Public Schools, where he served as a lead janitor in several middle and high schools throughout Columbus. In 1971, Bill fell in love with Edwina Clark, and the two were joined in holy matrimony on August 15, 1975. Upon this union, he became the father to Edwina’s two children, Starlett & Chad. As a family, they enjoyed cooking, traveling, and watching late night television. Bill also found great pride in being the grandpa to Starlett’s two children, Lamar and Maurice. Bill and Edwina enjoyed a blissful marriage until her passing in 2002. In 2003, he found love again, this time with a grade school friend, Mary Sharp. Bill and Mary were married on December 10, 2005, and lived a fruitful life together until his passing. They enjoyed each other’s company and loved to laugh together. During their marriage, Bill became the proud grandfather to Mary’s two grandchildren, Ashley and Ashtin, joining the two grandchildren he already had. In 1990, he joined The Good Shepherd Baptist Church and was baptized by Rev. Harold E. Pinkston, Sr. While his professional work schedule kept him very busy, Bill still found time to give his time, heart, finances, and what he had to help his church. Bill served as head custodian and the lead servant for the custodial ministry at Good Shepherd, where his daughter, Starlett, and son-in-law, Olan, assisted him. He was also a member of the Good Shepherd Male Chorus and enjoyed singing in the Tenor II section. When he wasn’t serving on the choir, he was content sitting in the congregation, soaking in the preached word and singing the great hymns of the church. His favorite hymn was “It is Well with my Soul”, and he would always light up when his grandson, Lamar, sang this hymn as a solo. Bill’s work ethic and love for the church was infectious and well noticed by those who attended Good Shepherd. In the late 1990s, Bill was awarded the “Good Shepherd Man of the Year” award by the Men’s Ministry for his meritorious service to the church. As Bill aged, he navigated several health challenges with grace and poise. No matter what his condition or how he was feeling, he never let it dampen his spirit. He rarely let the troubles of life hinder him; instead, he realized how blessed he was, and almost never complained. After a tragic fall in January, followed by a 3-month stay in between the hospital and the nursing home, Bill departed this life to be with the Lord on Sunday, April 12, 2015. He was preceded in death by his parents, Leepsie (Francis) Cunningham and Thelma Wilson; his former wife, Edwina Cunningham; his siblings, Earl Cunningham, Robert Cunningham, and Andrew Cunningham; and his son, Chad Clark. Bill leaves to cherish his memory and faith in Christ; his wife, Mary Cunningham; daughter, Starlett (Olan) Hylton; siblings, Troy Cunningham and Brenda Morgan; grandchildren, Dr. Lamar (Rhonda) Hylton, Maurice Hylton, Ashley Ragland, Ashtin Ragland, Indi McDonald, and Somorah McDonald; great-granddaughter, Emilee Hylton; sisters-in-law, Cecilia Powell, Margie Cunningham, Barbara Cunningham, and Edna Sharp; and a host of nieces, nephews, cousins, and friends. Visitation 11:00am and Funeral 12:00 noon Tuesday April 21, 2015 at Good Shepherd Baptist Church 1555 E. Hudson Ave. Interment with Military Honors at Northlawn Memory Gardens. Ministry of comfort entrusted to MARLAN J. GARY FUNERAL HOME, THE CHAPEL OF PEACE 2500 Cleveland Ave.
Star and Olan, the Nelson family send their love during your lost. Hold strong to God’s hand to see you through. Love you both. Ron and Linda Nelson. This Earth has lost a wonderful Man.He truly loved his family and was a friend to many.I worked for several years with Billy at Shoe Corporation.We kept in touch for many years.He was a hard working man and very responsible.I am saddened that this wonderful Man has left us.I’m so blessed to have known him in this life. I will never forget you Billy.Rest In Peace .May the Lord Bless you and keep.